Radiologic science is a growing field where trained specialists perform medical imaging procedures for diagnosing disease and injury. A radiologic scientist is trained in performing a range of patient examinations including diagnostic radiography, bone densitometry, computed tomography, magnetic resonance imaging, mammography, nuclear medicine, radiation therapy, and sonography. Students with a degree in radiologic sciences have rewarding and well-paying careers as radiographers, technologists, radiation therapists, managers, educators, or medical sales and marketing specialists. In reports published by the U.S. Dept. of Labor the average annual income from radiologic technologists was $60,070 per year in 2017. Graduates are also prepared to further their educations at the graduate and doctorate level. Students seeking further training to qualify for top positions can earn certification in computed tomography, magnetic resonance imaging, or mammography. The U.S. Bureau of Labor Statistics estimates that radiologic professionals will see strong career growth. The field of Radiology is expected to grow 13 percent from 2016 to 2026, faster than the average for all occupations. Experts point to an aging population driving a need for more medical imaging as a tool for making diagnoses. This list of the 15 Online Bachelor's in Radiology represents a broad selection of quality programs. All are accredited the the program or university level. For most programs, applicants will need a current radiologic science credential. Advance your career while managing family and work responsibilities with the Bachelor of Science in Radiologic Sciences (BSRS) from the Pima Medical Institute-Las Vegas. As a degree completion program students can expect to complete their degrees in little over a year. Graduates from the program will be eligible for leadership or teaching roles within the radiography profession. The program includes coursework in Advanced Modalities, Advanced Sectional Anatomy, Advanced Patient Assessment, Health Care Management, and beyond. Students must have current American Registry of Radiologic Technologists status or other medical credentials. The institute is accredited by the Accrediting Bureau of Health Education Schools. With the Bachelor of Science in Radiologic Sciences, East Tennessee State University offers radiologic professionals a chance to boost both career and earning potential. Candidates must possess an associate of applied science (A.A.S.) degree in Radiography Science. 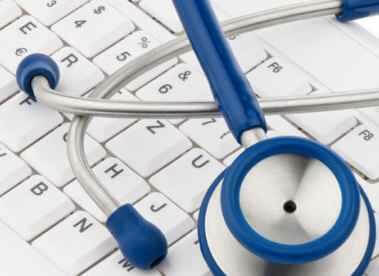 Coursework covers healthcare management, patient information and management, and health care law and compliance. By completing the program, students will be prepared for leadership roles in radiologic sciences and allied health services. Applicants complete the course ALHE 3010 – Allied Health Professionals, and work with an undergraduate admission coordinator to complete admission. The program is accredited by the Joint Review Committee on Education in Radiologic Technology. The Bachelor of Applied Science (BAS) Degree in Radiologic Technology from Siena Heights University will prepare students for a wide range of career options. Students with college coursework in radiologic technology can transfer up to 90 credits toward the BAS degree. Students with active accreditation from the American Registry of Radiologic Technologists can receive additional course credit. Courses last eight weeks, allowing students to complete the program in two years. Students who want to enhance their career prospects further can earn the university's Health Care Management minor, also available online. The university is accredited by the Higher Learning Commission. Step up your earning potential and gain the experience needed for a leadership role with the University of Missouri-Columbia's Radiologic Science Online bachelor's degree completion program. Successful applicants are certified radiologic technologists who are looking to move into a management position in medical imaging including patient care, research, and sales and marketing. Students engage in self-paced, semester-based courses. The program is delivered entirely online with no visits to campus required. Veterans, community college graduates, and active military service members can qualify for tuition discounts. The University of Missouri-Columbia is accredited by the Higher Learning Commission. The Bachelor of Science in Medical Imaging Sciences from Clarion University of Pennsylvania trains students with cutting edge tools and technology. The degree is offered as degree completion program. Qualifying applicants are currently credentialed as radiologic technologists, sonographers, nuclear medicine technologists, radiation therapists, or medical dosimetrists. Students can receive up to 60 clinical credits for previous experience. The program grounds students in the science and practice of medical imaging while also preparing students for further study at the graduate or doctoral level. Clarion University of Pennsylvania is accredited by the Middle States Commission on Higher Education. Prepare for a challenging and dynamic career with a B.S. in Radiologic Sciences from the University of Mississippi. Offered as a 2+2 program with the University of Mississippi Medical Center, students undergo a two-year, 60-hour academic program in the College of Liberal Arts. The second phase is a two-year program at the University of Mississippi Medical Center. Since admission is competitive, students must complete all admissions requirements by Feb. 15 of the year they wish to enroll. The program is accredited by the Joint Review Committee on Education in Radiologic Therapy. Accelerate your career and take advantage of your professional experience with the Bachelor of Science in Radiologic Sciences from the Georgia Southern University Armstrong Campus. Students choose between clinical and non-clinical tracks. Clinical track students undergo coursework to develop advanced clinical skills, such as CT, MRI or mammography. Coursework is completed online while clinical education can be completed in the student's local area. Non-clinical students will focus on leadership, management, and technical communication and complete all coursework online. The program at GSUAC is accredited by the Joint Review Committee on Education in Radiologic Technology. Registered radiologic technologists can advance their career by earning a Bachelor of Science in Radiologic Technology at the University of Louisiana at Monroe. Through the Registered Technologist Education Plan students take bachelor's level professional courses in management, advanced imaging procedures, and specialized medical imaging modalities. To qualify for the program students must meet ULM's general admissions requirements and be current members of the American Registry of Radiologic Technologists. ULM's radiologic technology curriculum is accredited by the Joint Review Committee on Education in Radiologic Technology. Professionals with a current credential in nuclear medicine can boost their careers with the Bachelor of Science in Radiation Sciences from the University of Oklahoma-Health Sciences Center. Students who complete the program will qualify for leadership roles or clinical management positions. Applicants will need to have at least 60 hours of prior college experience. However, students can earn up to 30 credit hours for credential, degree, and work experience. The program can be completed in 18 months. Students complete a curriculum that covers a range of topics, including imaging, health administration, ethics, and accreditation and regulation. The University of Oklahoma is accredited by the Higher Learning Commission. Capitalize on your experience as a registered radiographer with the degree completion program leading to a Bachelor of Science in Radiologic and Imaging Sciences from the University of Southern Indiana. Offered by the university's distance education program, students access online coursework at their convenience. The program offers three specialty tracks including magnetic resonance imaging and computed tomography, clinical education, and radiology management. Registered radiographers can receive credit for their previous professional coursework. The program at the University of Southern Indiana is accredited by the Joint Review Committee on Education in Radiologic Technology. If you hold an associates degree or certification in medical imaging, you can enhance your career outlook with the Radiologic Science (BS) from the University of New Mexico-Main Campus. As a post-licensure program only students who already hold a valid radiology license are eligible. Through the program, students will expand their knowledge of education, management, research, and public health within the scope of medical imaging. Students are eligible to transfer applicable credit to the program but will need to complete at least 30 units of the degree through UNM. The University of New Mexico is accredited by the Higher Learning Commission. Experienced radiologists can expand their career options and boost job security with the Bachelor of Science in Radiologic Sciences and the Bachelor of Applied Science in Radiologic Science from Colorado Mesa University. Actively certified radiologists can advance to a bachelor's degree with specialization in magnetic resonance imaging or computed tomography. After completing coursework students will be eligible to apply for certification from the American Registry of Radiologic Technologists. The curriculum takes students through coursework in patient care, radiologic technology, anatomy and positioning, and advanced clinical skills. The program at Colorado Mesa University is accredited by the Joint Review Committee on Education in Radiologic Technology. Gain professional skills in radiologic sciences specialties with the Bachelor of Science in Radiologic Sciences from Weber State University. Students select from programs in Advanced Radiologic Sciences, Diagnostic Medical Sonography, Nuclear Medicine, or Radiation Therapy. Courses are completed either at the campus, at regional campuses, or through independent study. Independent study students must be active members of the American Registry of Radiologic Technologists. Students in all programs will focus on patient care, radiation biology, anatomy/image evaluation, and pathophysiology. Weber State University is accredited by the Northwest Commission on Colleges and Universities. Build technical competence and build a foundation in imaging procedures with the BS Program in Radiologic Technology from Midwestern State University. This dual-format program is offered as a combination of face-to-face instruction and online distance education. Students who complete the program will be eligible for national certification from the American Registry of Radiologic Technologists. Students will also potentially qualify for certification by the state of Texas as Medical Radiologic Technologists. Students will gain skills in analyzing radiologic images, radiation protection, and communication in a medical environment. The program at Midwestern State University is accredited by the Joint Review Committee on Education in Radiologic Technology.